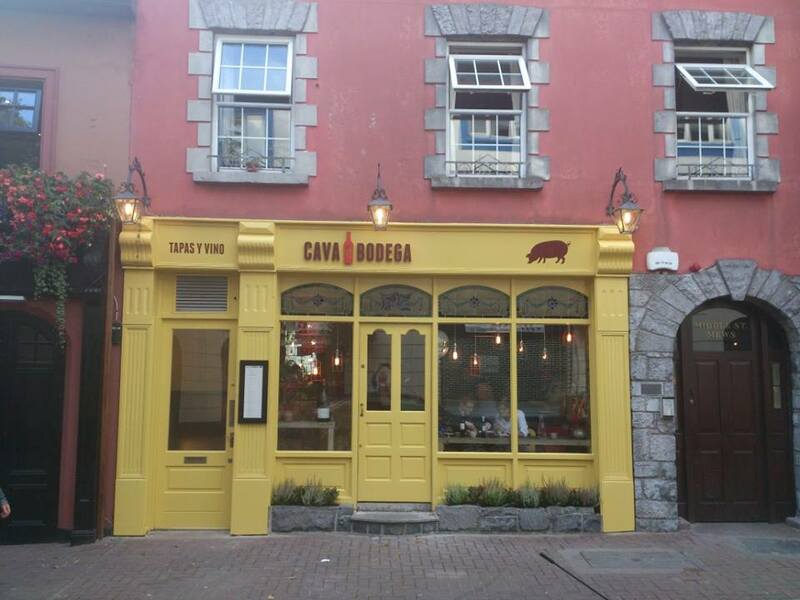 Food lovers in Galway were very disappointed when the original Cava Tapas restaurant on Dominic Street closed its doors. Many believed (and hoped) that Cava would re-open and thankfully it has – as Cava Bodega – in Middle Street. I have been to the new Cava Bodega twice since it opened in September last and I love it. I love everything about it; the gorgeous space, the menu and JP’s wonderful food, the staff and the atmosphere. I love this way of eating, sharing and sampling and being able to try out so many of the dishes. The decor is what I would describe as “homemade” and its lovely and cosy, but yet you don’t feel as if you are on top of your neighbouring diners. It really has been transformed into a beautiful dining space and if you are seated downstairs you will be able to observe the busy kitchen in action. The menu is laid out in many sections; Nibbles, Pinchos (Spanish Canapes), Cured Meats & Cheese, Vegetables & Pulses, Fish, Meat and Desserts. I haven’t quite managed to sample everything on the menu yet unfortunately but everything I have has been so good. From the Pinchos section, I can recommend the Jamon Serrano, Manchego Cheese, Quince which is lovely to nibble on at the start over your first glass of wine! It is nice to be able to order a mixture of Meat, Fish and Vegetable dishes, however I have yet to do the Fish section any justice so that is on my list for future visits. In terms of Vegetables, I can recommend the Catalan Spinach or of course the Patatas Bravas. However, if you like Chorizo, there is a wonderful dish of Chorizo, Potato, Red Wine in the Meat Section which is amazing and will give you the potato you require with the gorgeous addition of Chorizo. It was so good I thought about ordering a second portion. I don’t think I will ever visit Cava Bodega and leave this dish out! Other Meat dishes I can recommend are the Free Range Duck (with plum and sherry) which cooked medium was absolutely gorgeous. 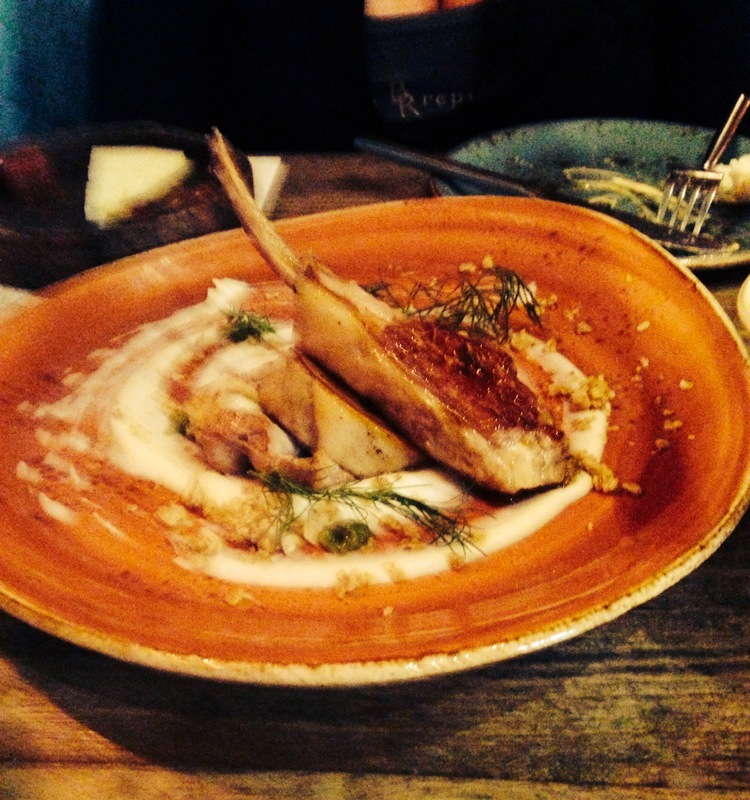 I have also enjoyed the Rack of Lamb (with confit lamb belly and cauliflower puree – pictured above) which was a favourite in the old Cava and is just as good here. The Chicken Breast (with walnuts and chicory) is also really good – sometimes I find chicken dishes can be bland but that is not the case here. And another winner is the Confit Pork Belly with apple compote and thyme gel. From the cheese section, I can vouch for the Manchego, Quince, Almonds – in fact I have discovered a real love of Manchego courtesy of Cava Bodega! 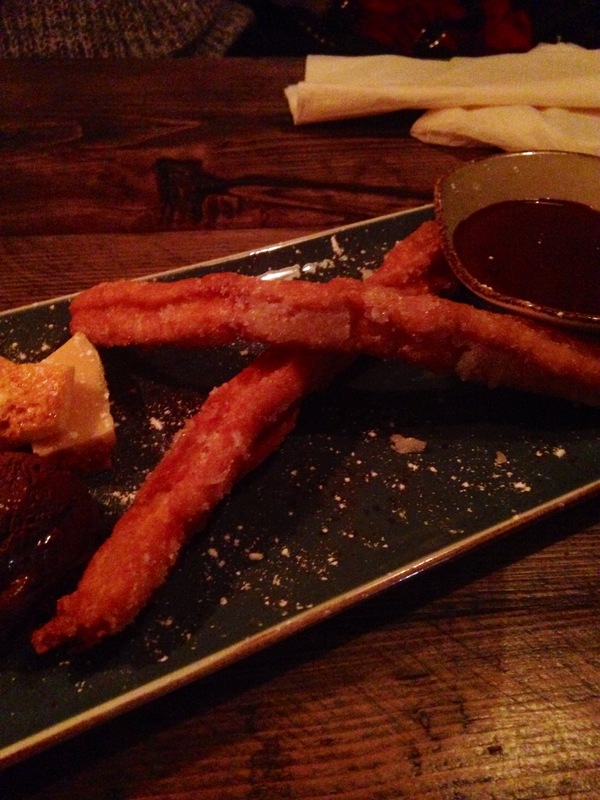 On the Dessert side, you must try the Churros (pictured below). And very handily they come in two size portions – perfect for sharing (or not!). They are a perfect sugar kick at the end of the meal. The wine list is short and exclusively Spanish with wines grouped according to their main characteristics – two groups of White Wines – either Crisp & Light or Aromatic and Fruity; similarly two groups of Red Wines either Smooth & Fruity or Rich & Full. There is also a good number of wines available by the glass – and two glass sizes are available. The restaurant also serves sherries, beers and ciders and various food/drink pairings are available. I highly recommend Cava Bodega on all fronts. The food, wines, decor and atmosphere are second to none. I am already looking forward to my next visit when definitely some fish dishes will be ordered. I LOVED this place we visited last September. ..